Founded in 1932, the Charlotte Symphony is a longstanding nonprofit organization committed to delivering exceptional musical experiences that connect and strengthen the Charlotte community. Led by internationally renowned Music Director, Christopher Warren-Green the Symphony upholds the highest artistic integrity and takes bold steps to engage the community through music that enriches the human spirit. We employ professional full-time orchestra musicians, support two youth orchestras and a volunteer chorus, and offer significant educational programming aimed at improving under served sections of our community. The Charlotte Symphony is integral to the Charlotte area, serving its community through music that connects and inspires. 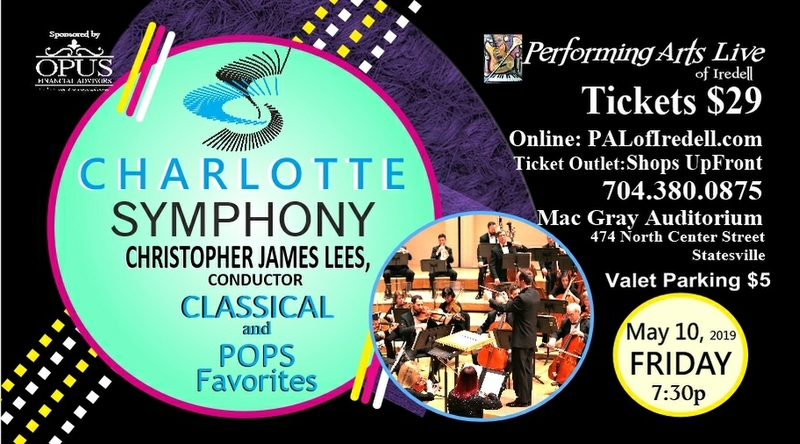 Conductor, Christopher James Lees, will be leading the Charlotte Symphony for this Pops program.